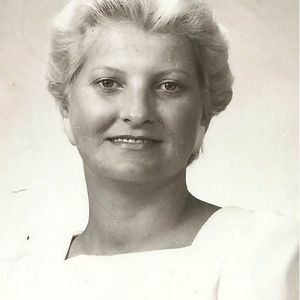 DRAKESBOBO - Phyllis Ann McIntosh Newman, 65 of Drakesboro, died Friday, November 2, 2012 at her residence after a brief illness. Born on August 18, 1947 in Muhlenberg County she was a homemaker, a member of the New Paradise Baptist Church in Greenville and a member of the Hazel Creek Eastern Star. Survivors include her husband, Earl Wayne Newman of Drakesboro, two sons, Anthony W. "Tony" (Lana) Newman of Belton and Jeffrey (Susan) Newman of Dunmor, four grandchildren, Sheena (Nathan) Phelps, Mark Bennett, Callie Ruth Newman and Grace Ann Newman, a brother, Dwight "Ike' (Barbara) McIntosh of Lewisburg, three sisters, Helen Dukes of Depoy, Wilda Laney of Russellville, Sharon McIntosh of Greenville, a sister in law, Wanda Johnson of Hopkinsville. Funeral services will be held at 2:00 PM, Monday, November 5, 2012 at the New Paradise Baptist Church in Greenville, conducted by Rev. 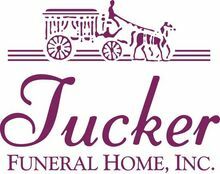 Tim Adcock with burial to follow in the Ebenezer Cemetery in Drakesboro. Visitation will be Sunday after 5:00 PM at Tucker Beechmont Funeral Home. Mrs. Newman will lie in state Monday after 10:00 AM at the New Paradise Baptist Church. I know i am late on this but Phyllis was an amazing woman. she was sweet and very funny. I miss her a lot. there's not a day that i don't think about her. she was like a grandmother to me. i know that she is in heaven probably eating burgers from Wendy's & i know that she is looking down on me. i love her with all my heart. Jeff, Susan, & Earl i love you. Miss Phyllis was always kind to everyone she met. I will miss seeing her smiling face. Lana, Tony, Callie & Grace, if you all need anything, please let me know. Send my condolences to Mr. Earl. Thank you all for being so loving and caring toward our girls and family. We are so sorry for your loss. We will keep your family in our prayers. So very sorry to read about your great loss. I pray that you will find comfort in your many fond memories of a wonderful woman. Sympathy and friendship. I will keep the family in my prayers. I was so shocked to hear that she was gone. She is at peace with no pain. I am sure she is rejoicing today in the presence of our Lord and Savior. To Earl Wayne and extended family. Hearing of the passing of Phyllis. Brings back many memories of those yrs we worked together..May God just give comfort in those sad days ahead.. I'm am so sorry for you loss. When ever I seen her she always had a smile on her pretty face.